What kind of efforts, initiatives and involvements are needed, at an individual and societal level to improve energy efficiency and effect energy savings? For understanding this, let us discuss the role of individuals and society in effecting energy savings and developing energy infrastructure. Here are some of the need of energy efficiency improvement and their social measures. Low cost energy is essential not only for economic growth but also for societal well being and individual comfort. The demand for energy is growing rapidly in developing countries and the only challenge lies in fulfilling the demand, at the least cost to the environment, society and the individual. For controlling of energy, the social approach which may needed, involves, rearranging our lifestyles, individually and collectively, whether in minor or in perhaps major ways. Thus, here, after all then, we can ensure that the energy required to perform a given service is reduced in comparison with the other ways of supplying that service. One social approach to reducing the energy required by the transport sector is to shift a proportion of people’s journeys away from the energy-intensive modes towards the more energy-frugal modes. This process is sometimes termed as “modal-shift”, But if people wants to work on transport modal shifts, they need to be encouraged by fast, comfortable and efficient services – or penalised into switching by measures like congestion charging. Such steps needs social awakening of the highest order, in terms of feeling responsible towards the need to cut the CO2 emissions, which hardly leave anyone in the safe zone. People could also think of similar social approaches to energy efficiency improvement in other areas requiring energy services, e.g, for spacing heating or cooling, for washing and for processing materials or constructions etc. 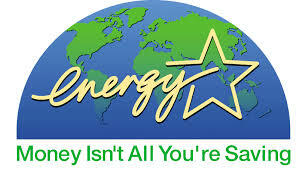 Even a great deal of energy can be saved by us in our homes. Some of the few suggestions that will help us to answer various questions such as “kind of efforts we need to make for our environment and what will be the efforts pay off?” etc and help making us sensible choices for saving energy in our homes or buying new appliances. 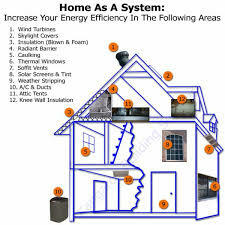 Home energy saving is one of the most important expect of saving energy. The first step is how to and how much of energy we use in our homes and what measures we can take to measure our home more energy efficient. This can be done with the help of energy audits. A home energy audit will show us problems that may, when corrected, saves significant amounts of energy and money over time. During the audit, we can pinpoint where our house is loosing energy. 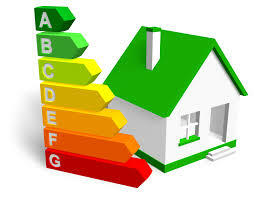 Audits also determine the efficiency of our homes heating and cooling systems. Audits may also show us the way to conserve water. Energy efficient improvements not only make your home more comfortable, but they can yield long term financial rewards too. Heat pumps also acts as the most efficient form of electric heating in moderate climates, providing three times more heating than the equivalent amount of energy they consume in electricity. Portable gas heaters and oiling systems are seemed to be a good and clear option for saving of energy at homes. Also, using a programmable, we can adjust the times we turn on the heating and air conditioning according to a pre set schedule. Landscaping is also a beautiful way to keep your home more comfortable and reduce your energy bills. Increasing lighting efficiency is one the fastest ways to decrease our energy bills. 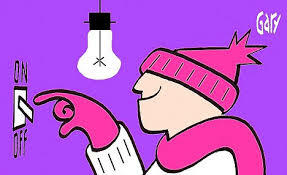 If we replace 25% of our lights in high use areas with fluorescents, we can save about 50% of our lighting energy bills. Also using linear fluorescent and energy efficient compacts fluorescent lamps in fixtures throughout your home to provide high quality and high efficiency lightning. Some of the home appliances such as refrigerators, washing machines, cooking stoves and ovens can also act as an important measures for saving energy and reducing energy bills. Thus when individuals or organisations implement energy efficiency improvements, they usually save money as well as energy. However if money saved is spent on higher standards of service, or additional energy consuming activities, that would not have otherwise been undertaken, then some or all of the energy savings may be eliminated. This tendency is sometimes known as the “Rebound effect”. For example, if householders install improved insulation or a more efficient heating boiler, they should, in principle, reduce their heating bills. However, if they instead maintains their homes at a higher temperature than before, or heat them for longer periods, the savings may be wholly or partially neglected. Alternatively, they may decide to spent the money saved through lower heating bills by taking a holiday involving air travel. Their energy savings may be offset by increased consumption, although of a different kind since air travel is quite energy-intensive. These examples underscore the importance of user awareness and education. This aspect is usually neglected while propagating the strengths of various utilities and energy appliances. Sustained campaigns are needed to popularize the best use of energy savings practices. Along with that citizens should also be given incentives to spend any saving,s they made through implementing energy efficiency measures in ways, that are energy-frugal rather than energy-intensive.